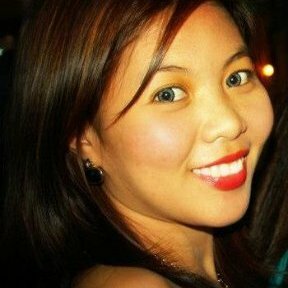 Today I’m happy to have Lux Ganzon of About Life And Love guest post here. Lux currently balances her time working on her dream business and pursuing her passion for writing; finding her one true love while building her own happily ever after; and chasing dreams as she lives in the reality of the present. Through her blog she hopes to someday leave a dent in the world. God will not bring me to it if He can’t bring me through it. When you’re driving in an unfamiliar place, have you encountered a crossroad? Which path did you choose? Crossroads, reroutes, dead ends. I can’t count how many of those I’ve experienced in my life journey. Sometimes, I feel like I picked the wrong one and wonder what would have happened if I didn’t. For example, I was having a good time in my career years ago. It was a fun environment. I was earning awards for my performance. At some point, I even fell in love there. But, I couldn’t stay put knowing there are greater things ahead. I’ve always believed that the good life is the enemy of the great life. And I’m not going to let the good stop me from getting what is great. Only to be in a dead-end kind of 9-5 job. Bigger pay, of course. So much bigger. But it was a really toxic place; people were difficult to work with, there was a lot of pressure, we weren’t treated as humans. We were like robots. I got sick a lot. And despite the financial fulfilment, my spirit was running empty. To top it all, that person I fell in love with in my previous job left me for someone else. I was so hurt. It was devastating. 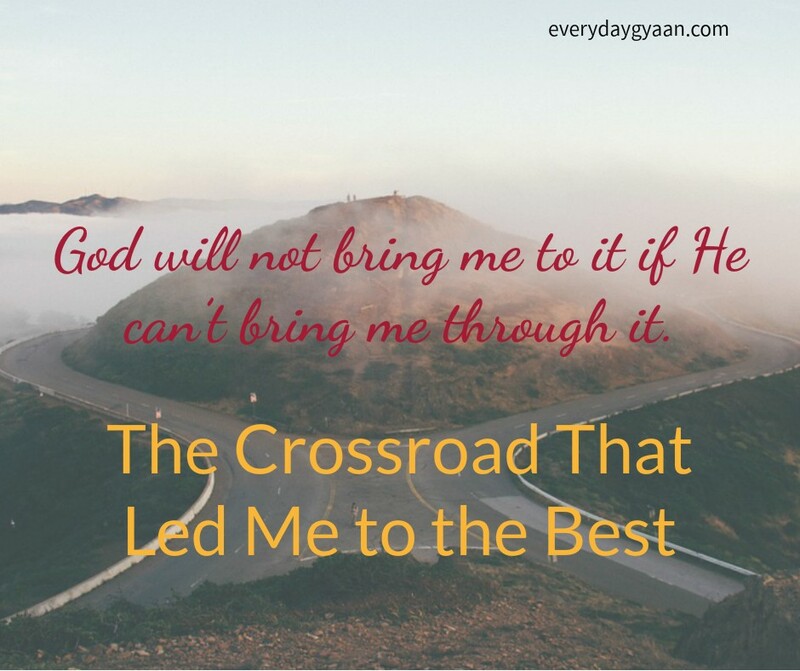 I questioned God’s plans and wondered why He let those things happened. Then again, wasn’t it me who begged Him to let me pursue that career? Wasn’t it me who turned a blind eye to the red flags I saw on that guy? Wasn’t it me who chose this path? Looking back, I realized one important lesson. Through it all, whichever path I choose, God never left my side. I realized that had I not left the job I loved, God would still be there. Had I not given up on that relationship, God would still be there. But if it’s not good for me, if it’s not part of His grand plan, He would still have made a way for me to realize my mistakes and bring me somewhere else. He would still bring me people who would point me to the right direction and send me to a situation wherein I’d realize where I should be. The most effective way for a stubborn kid like me though is pain. Pain was the trigger to make me see clearly. Suffering was the way for me to realize what really is best for me. Have you ever come to a crossroad and didn’t know where to turn? What did you do? I'm so glad you felt His presence through those hard turns, and I love that your fortitude and faith sustained you. Isn’t it great that no matter what… God never leaves our side. Your insights are always delightful to read, Lux! Thank you for another great read. One major crossroad in my life was 3 1/2 yrs ago when I was faced with a health issue. Deciding how to proceed with treatment was the most difficult thing I ever faced. I learned that I had to trust what I felt God was leading me to do which was against protocol. But, I continue to be so thankful to the Lord for letting me follow His leading which to this point has lead to favorable results. It also made me realize how easy it is to be weak in faith seemed though I felt so strong in it before that. And look at you now, Christine. A beautiful testimony! Sometimes the road we are on seems “wrong” to us, but it may just be the road the Lord orchestrated for our lives in order to teach us to trust Him more! After all, it takes an impossibility for a miracle to take place! Whatever road we find ourselves on, indeed the Lord is always with us! Enjoyed your testimony today dear Lux, and happy to meet you too, Corinne! Hugs to both of you today! Yes, cross roads have us stop and take notice and reroute. Your story is inspiring how a toxic job and failed romance can direct you in a new path. Thank you for sharing your story and for sending us over here from Tell me a Story to read the rest of the story. Thank you for following the story here, Hazel. Thank you for your testimony. There have been many crossroads in my life but I love what you leave us with-“My child, the best is yet to come. Come follow me and I’ll show you more.” Have a blessed weekend! I love what God is telling you, Lux. He’s such a faithful Father. Keep walking, knowing He’s “right there”. Corinne, thank you for sharing your space. He truly is. We are so blessed. whichever path I choose, God never left my side. For me, that small statement is the core of your post. If we learn nothing else in life we need to learn this. Otherwise we give up when we don’t heed the red flags and get into a path really not designed by Him for us. Everyone choses wrong paths at sometime in their life and God can teach us some of our most valuable lesson during that time. Here is the beauty of those wrong paths, we are doomed to stay on my it, God gives new mercy every day to take another path. Great post. Sometimes we’re so stubborn insisting what we want and God as a loving parent Who wants to discipline us but also wants us to get our heart’s desire give in to us. Then we realize He’s right all along. And He welcomes us back, no blaming, no questions, just love. You know Lux ,in your simple, humble writings you inspire me. There is so much God has for you, I really believe that. I have read some of your life struggles, victories and deep down I know God will settle all that concerns you. Thanks, Ifeoma. God is good and faithful! Aw. That is so touching, Ifeoma. Oh yeah … those crossroads moments, circumstances, experiences can be gamechangers for our faith, for our life’s path, changing our hearts, giving us new hope. Even if they’re painful. You and your readers inspire me and make me proud. There are millions of Christians out there that would differ on your understanding of what sorrow and reflection can do. The line between religion and relationship is very thin and sometimes the laziness of comfortable wins over the desire to find answers. I suffer from depression and from that horrible place God has shown me that looking in is the only way to discover what we are truly capable of, the heat of the dessert makes the best fighters. To fight and win over our discomfort and pain makes us overcomers – He loves the overcomers. I am encouraged by your post and the responses of your readers, we suffer together and fight to win. “the heat of the dessert makes the best fighters.” < I love this! Thank you so much for those kind and encouraging words. I appreciate it. I think crossroads have sometimes been more like traffic circles for me–where there are several exits and sometimes I keep going around not taking any! Sometimes the choices have been between good ones, and sometimes I just need to get off the road i’m on but have no idea what exit road to take next! Inspiring post as I think all of us have been in this place of painful and/or uneasy transitions. Oh, it could be longer and more complex for some of us. But then again, God knows what we’re capable of and He would not give us what we can’t handle. You’re so much stronger now for sure, Lynn! Lux, you have no idea how much I needed to hear this today. I am in the midst of a crossroads myself. Thank you for the reminder that God does not leave our sides, even through the pain and the suffering. Thank you for sharing my friend. I’m sure you’ll pull through. You’re amazing, Kelly. When I gave up my career promotion last year and suffered with the consequences that came after it, I questioned whether I made the right choice. Rejections after rejections shook my faith and I questioned God numerous times where was He actually leading me. When I was about to give up the path I chose to follow, the answer just came as a big surprise – the best job opportunity that I never knew exist in the labor industry. I’m celebrating my anniversary in November. What I’ve gone through is a testimony that whichever path we choose, God will always be with us. And He will exceed our expectation! Congrats on your coming anniversary. I’m sure many more opportunities will knock on your door, Jayson. You’re inspiring. You struck the right chord Lux. There were Crossroads and dead-ends but now, I am glad they existed and came in front of me, pushed me to find a better path and diverted me more near to my destination. I believe God is with my always helping me to find something more better for me until its best. Too good post and thanks Corinne for introducing us to Lux. It’s a mystery how God works, but I love how makes that perfect twist in our story. Good to meet you, Upasna! I was in a bad relationship, I did not know where I was heading, I had my dreams and job. But, a single choice of a wrong person, I shattered my dreams with my own hands….It was painful for me but I could not understand “why it is ME always”….. Today, whatever I am I still don’t whether God showed me better paths or not. But, I can say I am no more a same person a very very different and strong person though my heart cries out loud sometimes. Dipannita, thank you for being bold enough to share a personal story of yours. I believe that you are in the right path, though it’s not yet clear for you for now. Thanks a lot Lux…. I went through your blog and it is just awesome and I surely want to contribute my life’s experience as a Guest Blogger. I like to know how can I send you my experience to your esteemed blog? I’m glad Lux’s post resonated with you. Thank you and looking forward to get in touch with you. Can you please share the link of the form. I am unable to find the FORM page. Or scroll all the way down please. Please just send your message in the Contact us box. It’s at the bottom of the page. Sorry that there’s no link for me to share here. You really need to go to the page and enter your details. Or just message me through my socials (links on the upper right hand of my page). Looking forward to read your sharing! Pain is a trigger for me too Lux…It is as if it reminds me that I am still there and the struggle, the fight is still on….The way you recovered from pain and failure proves that you are a very strong person. Remain resilient always…..! I guess we need pain to make us all the more able and see clearly where we need to be. It’s amazing how we can channelise our pain for good. Thanks for sharing, Sunaina.